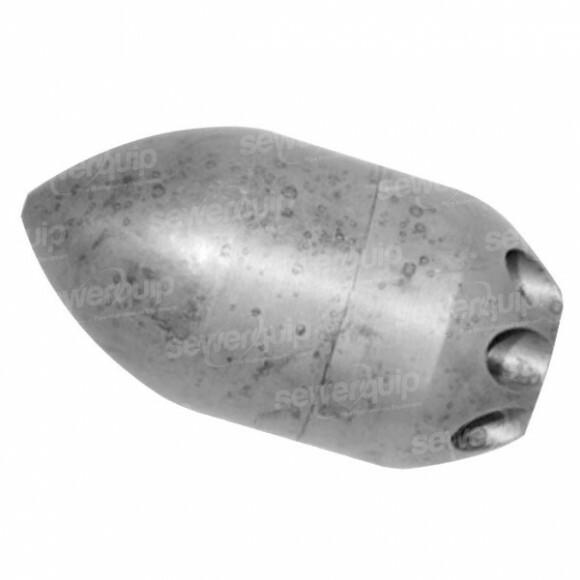 The Dump nozzle is a special cleaning nozzle for drainage pipes with a very high thrust force and flushing performance. Connected to a light weight hose and tuned with the appropriate water flow and pressure, this special nozzle can cover up to 400 metres. Made in Germany of hardened steel.